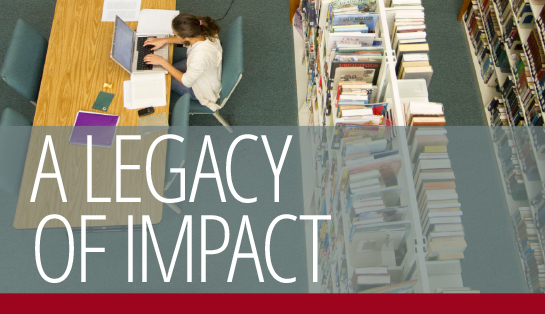 The Friends of the Simpson University Library Endowment Fund has created an opportunity for you to leave a legacy by investing in the growth and development of the library. Our vision is to make the library a welcoming place where students can come to study and learn while being surrounded by the most cutting-edge resources available today. The Friends of the Library executive committee determines how portions of the annual return on the endowment will be used. Part of the return will be added to the perpetual endowment, and part will be used to enhance library services and resources. Download our Library Endowment Brochure (2pg PDF) to learn more about the Friends of the Library and all that they do. Those who donate $10,000 or more can have a library endowment fund named for them or for a family and can specify how proceeds are to be used to benefit the library and its patrons—students, faculty, and staff of Simpson University. No matter how much you choose to invest, you will receive an annual email update on the endowment and library projects you help make possible through your generous donation. *Please select "Library Endowment Fund" from the designation drop-down.